Can’t Get Enough Gifts Limited was started by James & Helenaur Cairns in 2005 after the couple got married... more information. For over eighty years, Lemon Solicitors LLP have grown their business by reputation and recommendation, building long-term relationships with a broad range of private individuals and commercial clients... more information. As the focus of the Website is to sell Christmas cards on behalf of charities, it is vital to be at the top of the search engines for terms such as charity Christmas cards during the months of October, November and December... more information. This is the tale of two recruitment agencies based in the south of England. 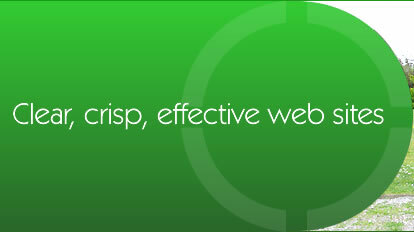 Both companies enquired about a new site and search engine optimisation in 2004. One decided to employ us and is now miles ahead of the competition... more information. The problem with search engines is that they are always changing. One month you may be at the top of a search result in your favourite engine and the next you're nowhere to be found. This is why continued search engine optimisation (SEO) is vital for your Website. Click here to read a case study on what happens if you stop optimising.